If you keep your smartphone right next to your computer screen just so you can have WhatsApp always at hand, you'll be pleased to know you can now have it on your Windows or Mac desktop, thanks to its new desktop app. 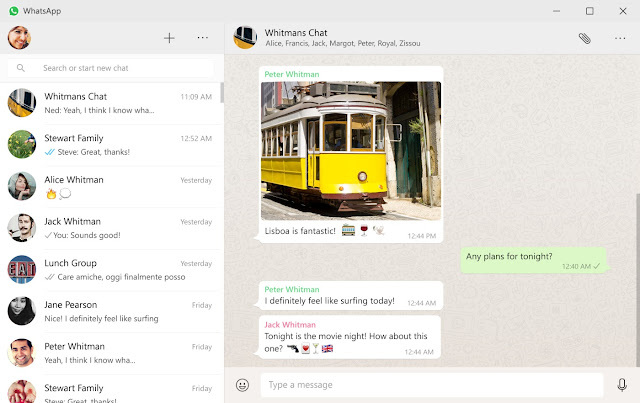 WhatsApp is one of the most popular message services, and although you could use it via web browser, now it will be even simpler with its native desktop WhatsApp app for Windows and Mac. Well, the native app looks is very similar to what you already had on the WhatsApp web, but... if it works, why mess with it? The main difference is that, because it's a native app, it can use native desktop notifications, better keyboard shortcuts, and a few other improvements that couldn't be done as a web page inside a browser. To download the app, visit https://www.whatsapp.com/download from your desktop browser. Then, open the app and scan the QR code using the WhatsApp app on your phone (look for WhatsApp Web menu under Settings). And that's it, you'll have your WhatsApp desktop app synchronized with your mobile device.